Page 227 of 365: Being a Hufflepuff! Right now, I’m at Summer In The City, yesterday I was at Summer In The City and tomorrow I’m at Summer In The City. But I’m going to write a blog post all about SITC next week because I don’t know if I’m going to have time while I’m at the convention so here’s a post that’s got nothing to do with a YouTube convention. So, I’m a Hufflepuff. I spent a long time not really knowing which Harry Potter Hogwarts house I belonged in because I was sure I wasn’t a Gryffindor but I didn’t really know where I fit in. Until I took the test on Pottermore. Sure fire Hufflepuff. I’m not clever enough for Ravenclaw, not brave enough for Gryffindor, not sly enough for Slytherin but I pride myself in being a nice person and sharing positivity and trying to be the best person I can be. So when I went to the Harry Potter studios I bought a Hufflepuff beanie and I’ve fully embraced being a Hufflepuff and I don’t know why people look down on and take the mick out of the house renowned for being kind and taking food from the kitchen. I’ve seen people be disappointed because they were sorted into Hufflepuff and I don’t know why. 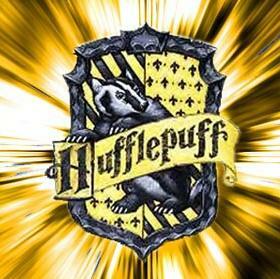 Being a Hufflepuff is a great thingand I’m a very proud Hufflepuff. I have a t-shirt and everything. there is nothing wrong with being a hufflepuff! i'm a ravenclaw but so many of my friends are hufflepuffs and they're all the best.